No one goes into a marriage with divorce in mind. You hope that everything will work itself out, but when enough is enough, what do you do? Do you try to fight through or call it quits? Each person wants to blame the other one for the demise of the relationship. When they file for a divorce, most PA residents choose a mutual no-fault divorce. Since a law passed in 2005 permits couples to divorce without stating a reason, couples have found that this is an easier, less stressful, and more importantly, less expensive option to choose. Especially since marital misconduct is not taken into consideration when dividing property. 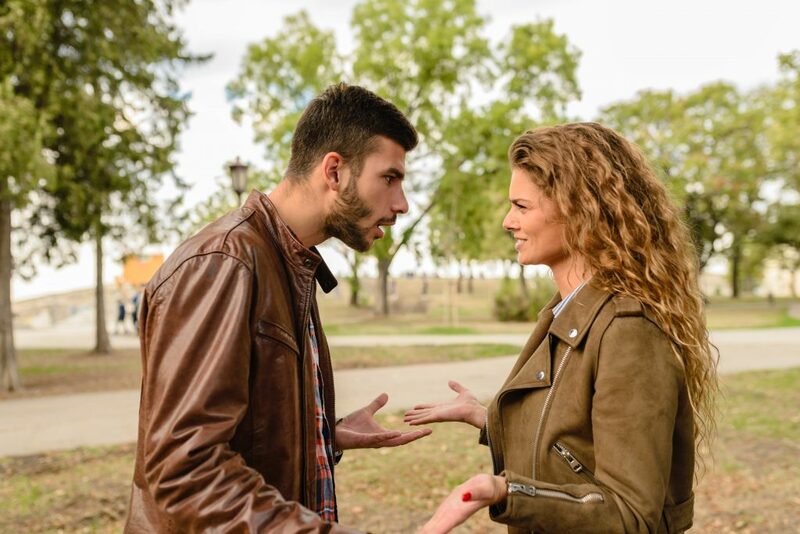 If you feel that your spouse should be blamed for the divorce, you can choose to go the at-fault divorce route, but in PA, an at-fault divorce can be difficult to prove. Marriage is not something that should be entered into lightly. There are societal, legal, and emotional expectations that are placed upon the relationship. If you find yourself in any of the situations listed below, you could be eligible for an at-fault divorce. However, to have a divorce granted on these grounds, you must have evidence backing up your claim of being mistreated to the point of separation. • Adultery. In order to prove your spouse was unfaithful to you, you would need to provide text messages, emails, love letters, or photographic evidence of infidelity to the courts. One of the most effective ways is to hire a private investigator to take photos of your spouse while they are out with their new partner. The photos must prove that the two are in a romantic relationship in some way. The photos do not have to catch them in any sexual act, but holding hands, kissing, or hugging will usually be enough to prove that adultery has taken place. • Desertion. Your spouse abruptly left without an explanation or officially calling it quits before leaving. They must remain away for at least a year before you can file on the ground of desertion. This is the easiest at-fault divorce to prove because you can show leases, utility bills, etc., to show that you both live in different locations. • Cruel & Barbarous Treatment. This is defined as any situation in which your life is verbally or physically threatened. Having witnesses, hospital records, or police reports can back up your claim. • Indignities. If you are being treated poorly, but there is no abuse present, it falls under the ground of suffering indignities. You must have witnesses to support your claim. • Bigamy. When your spouse is legally married to someone else and you at the same time. In this case, you can provide documents to prove that they are already in an existing marriage that you had no knowledge of before agreeing to marry that person. • Incarceration. Your spouse must be in jail or sentenced to prison for at least two years for you to file under this ground. • Insanity. Although your spouse is not considered “at fault” for having a mental illness, you will be able to divorce because of this reason. However, you will have to prove the mental illness is severe through medical experts, psychiatric treatment, and other witnesses. It can be difficult and emotional to prove. If it is proven that someone cheated on their spouse, that person may not be able to collect alimony from the wronged spouse. However, cheating and other marital indiscretions do not affect property division. Cheating also doesn’t affect child custody unless the adultery has caused a negative impact on the child. Going through a divorce can be especially difficult if there was abuse or mistreatment. However, if you cannot prove your spouse was at fault in court, you will have to file for a no-fault divorce. That’s not to say a no-fault divorce won’t be contentious; couples rarely agree on every aspect of their separation, from who gets the house to how much time is spent with the kids. An experienced lawyer can guide you throughout the process and help you achieve the best outcome possible. The Law Offices of Sheryl R. Rentz, P.C., has over 25 years of experience in family law. For a free consultation with a Montgomery County divorce attorney at our office in Ardmore, please call (866) 290-9292.